The annual celebratory tribute to the life, works and spirit of the great Scottish poet, Robert Burns (1759-1796). Celebrated on, or about, the Bard’s birthday, January 25th, Burns Suppers range from stentoriously formal gatherings of esthetes and scholars to uproariously informal rave-ups of drunkards and louts. Most Burns Suppers fall in the middle of this range, and adhere, more or less, to some sort of time honoured form which includes the eating of a traditional Scottish meal, the drinking of Scotch whisky, and the recitation of works by, about, and in the spirit of the Bard. 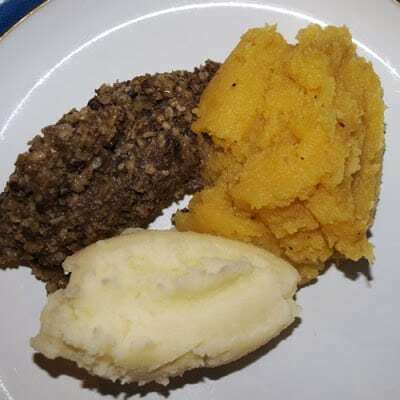 I didn’t go to a formal Burns Supper, but we had haggis, neeps (swede known as turnip in Scotland) and champit tatties (mashed potatoes) for our supper tonight. One or two questions have been asked so I am adding a little to this post. 1. Yes that is a bottle of malt whisky behind the haggis, we didn’t have it with the meal but had some after with our coffee. 2. 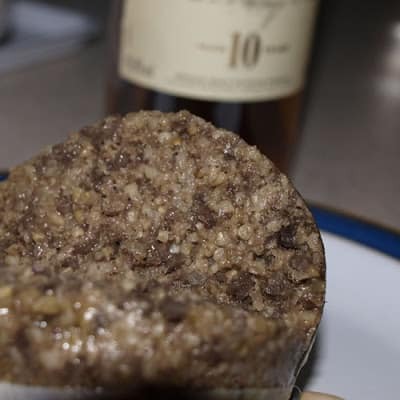 You can find out about what goes into a haggis HERE although personally, I think it is better not to know because it tastes nothing like any of the ingredients, it is peppery and delicious. The bottle's there… I hope you DID have the whiskey! 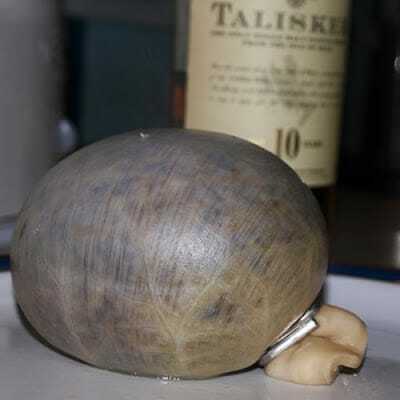 Oh my, what does haggis taste like? It all sounds so nicely Scottish. Maybe similar to 'scrapple'? Love the bottle of Talisker in the background! I'm not a big haggis fan, but maybe I should give it a go.